excelent product with great feachers. this is a great product for out side for your gutters it do what it suppose to do also looks nice great color will buy again. downspouts were creating divots in the ground so I thought I would try these. Since I got them we haven't had much rain but the rain we did have rolled out the extensions and when all the water evaporated they rolled back up. Prior order 2 green to test the item, it worked great. :) love it, however, Sad my order for 5 more downspouts in white was lost and not available at this time. Still will order if comes back on sale. better than pvc pipe extensions. 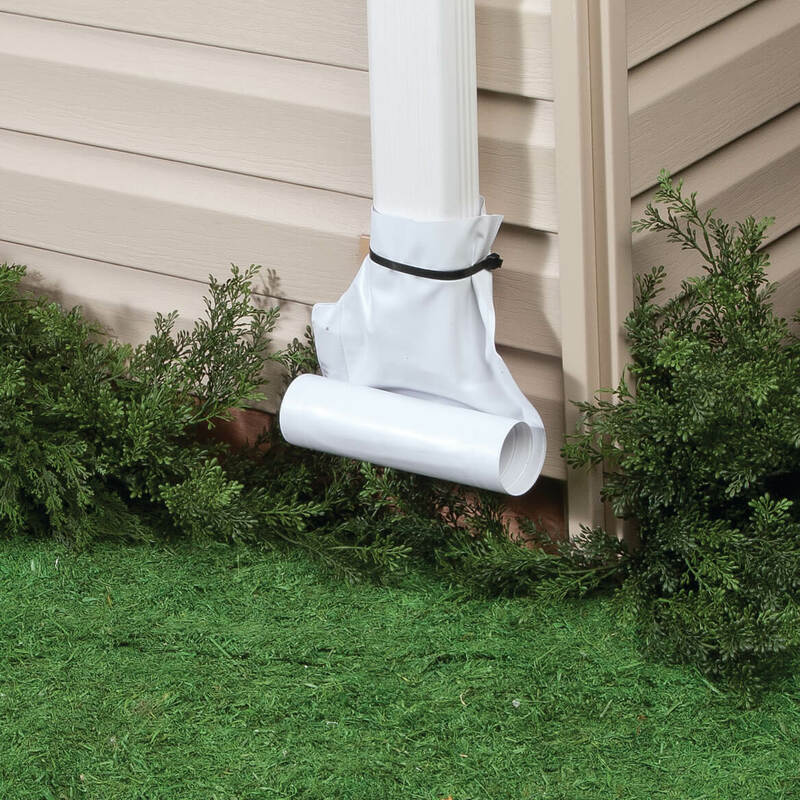 i use this out side on my gutter it work but do not roll back up all the way. Rolls halfway and tangle up. The way they connect to the downspout is very inadequate. What can I say..this item was not as I expected it to be but it could be worse. WE have a new lawn and rain gutters are dredging a gorge in our lawn and shrubs. Great product and easy ordering process. Hopefully to eliminate a hole that has been created. To help divert run off from the downspouth away from the house. My present drain goes into one area and leaves puddles. It rolls itself back up. Live in Florida need to spread out water flow, hard rain is making a ditches around the house. needed an extension for a rain drain that would not be in the way most of the time. It will fit my needs. much needed for my drain. I have recently done some landscaping and this will help preserve it. Purchased to keep rain water away from the foundation. 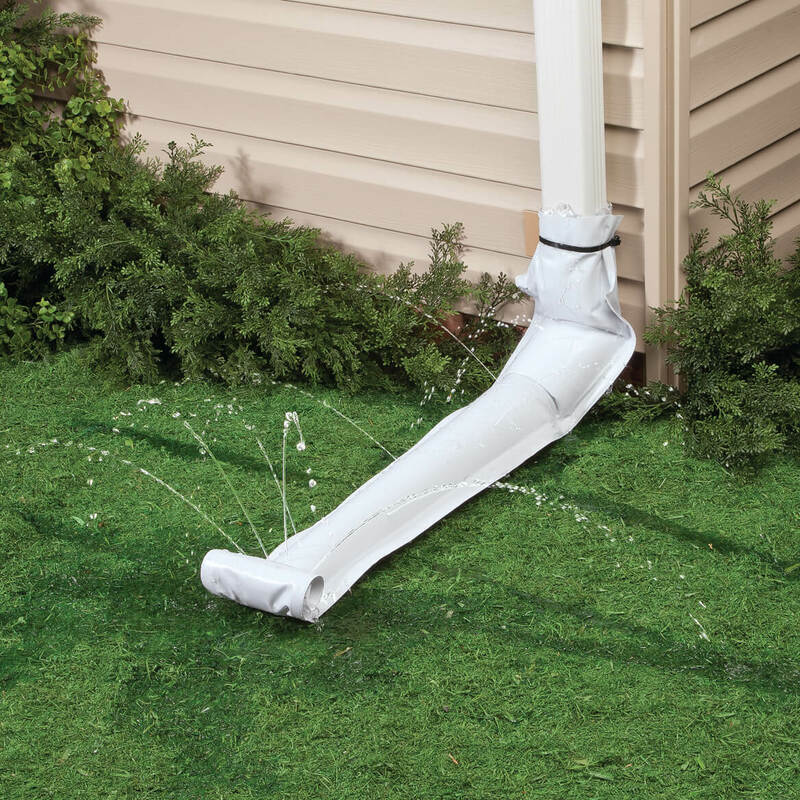 I already bought 2 to try them and now want 2 more for other gutters. They work great! Can't wait to get all of those downspouts out of the way. I have used these for years. I love them. Puts the water in my grass not on my blocks. I'm hoping this will keep the rain water from washing out my sidewalk. i like the roll up feature. no more removing before mowing. Wanted something different for a slash guard and thought I would try these. Only bought 5 at this moment too see how they work. Will order more if this works out. Also thought more attractive. I've used them before at a previous house and absolutely love them. I need it to drain rainwater down my driveway instead of it running all over my perennial beds. 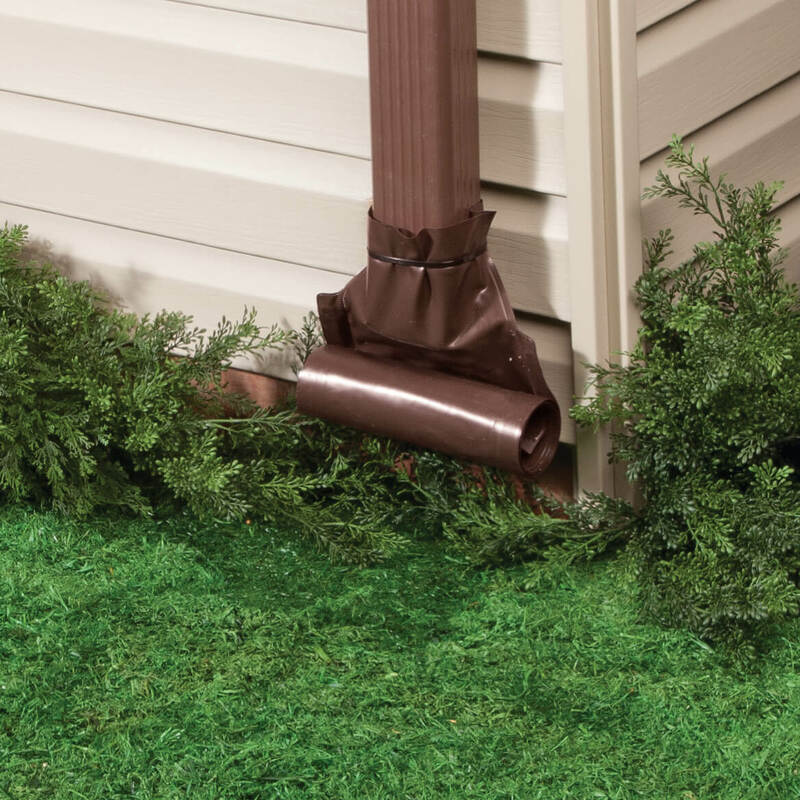 the only site that offered a downspout extension that automatically rolls back up after rain. To redirect the water coming out of the drain.and I like it coming out like a sprinkle instead of a full gush. We always have to go around and pick up all of the gutter down spouts before we can mow. We are hoping this solves the problem. BEST ANSWER: Thank you for your question. Yes, this item is offered in white, brown and green. We hope this information will be of help to you. is there shipipng and handling charge? will snow or ice clog the rain drain? BEST ANSWER: Thank you for your question. Yes, we suggest you store it for the winter. We hope this information will be of help to you. 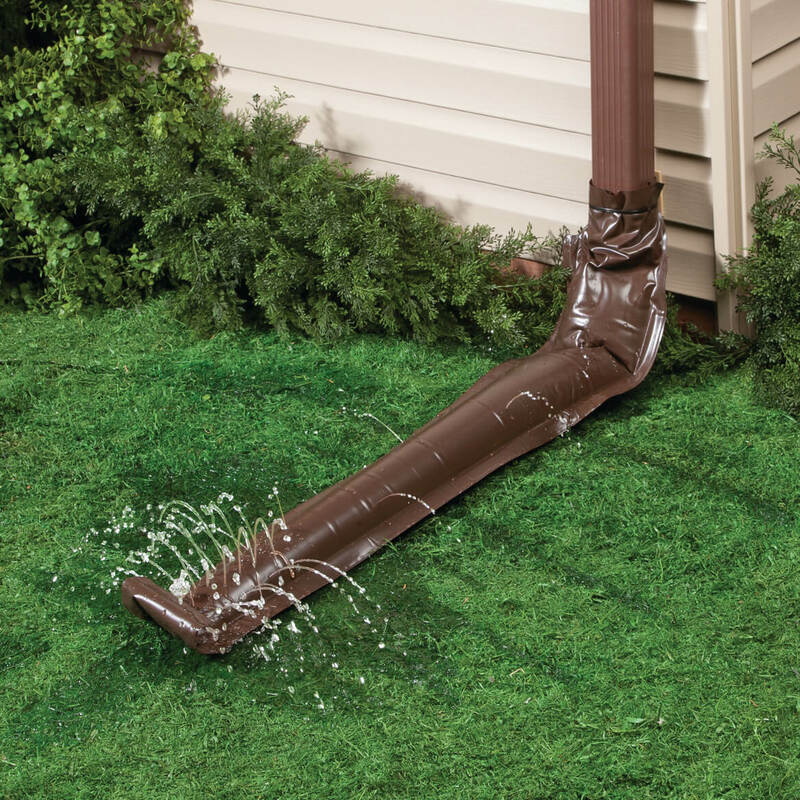 Can rain drain fast enough so as to not back up downspout if it rains consistently? BEST ANSWER: Yes it drains fast enough. I live in Florida where it rains all the time, lots at a time and I never had a problem with it backing up. I love them. Use them all the time. We have not experienced any such problem. 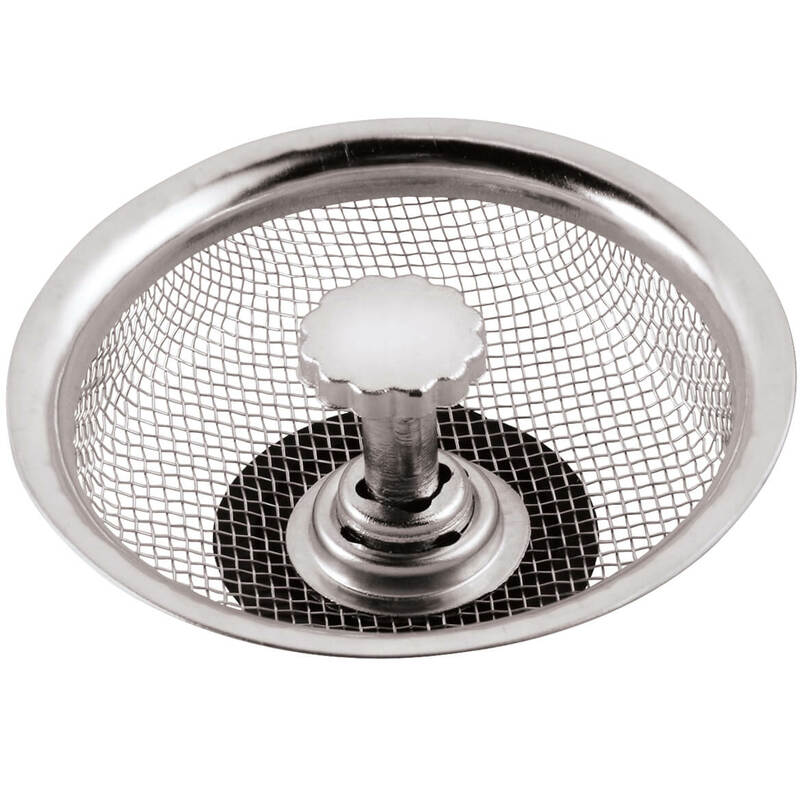 Note that we keep the drain in the extended positiion by place a small rock in the bottom half of the outlet mouth. how about same extension but @10ft. and longer? BEST ANSWER: Thank you for your question. We do not sell a longer extension. We hope this information will be of help to you. Did not work as advertised!! Does not extend very far. If you put the extension accross a drive way and it is raining and the extension is working the way it should, if a car drives over the extension will it do damage to the extension? BEST ANSWER: Thank you for your question. A car driving over it will not damage the extension. We hope this information will be of help to you. Are there internal coils on either side to roll back up? BEST ANSWER: Thank you for your question. No, there are not internal coils. It works like a noise maker. It unravels when there is pressure in it and then rolls back up when the pressure is relieved.We hope this information will be of help to you.